Born and raised in Appleton, Wisconsin, Bleier was the oldest of four children of Bob and Ellen Bleier, who ran a tavern – Bleier’s Bar – while the family of six lived above it. He had a paper route as a youth, and graduated from Xavier High School in 1964, where he starred in football and basketball. In football, Bleier was a three-time all-state selection as running back, and won all-conference honors at both linebacker and defensive back. He was a team captain in football, basketball, and track. 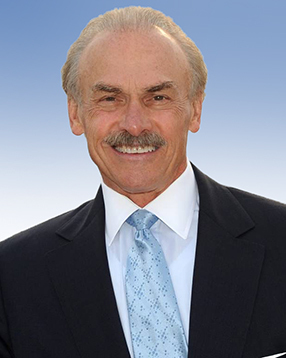 Bleier played college football at the University of Notre Dame in South Bend, Indiana, and graduated in 1968 with a degree in business management. During his junior season in 1966, the Fighting Irish won the national championship and he was a team captain as a senior in 1967. He was selected in the 16th round of the 1968 NFL/AFL Draft by the Pittsburgh Steelers, 417th overall. After his rookie season with the Steelers, Bleier was drafted into the U.S. Army in December 1968 during the Vietnam War. He volunteered for duty in South Vietnam and shipped out for Vietnam in May 1969 assigned to Company C, 4th Battalion (Light), 31st Infantry 196th Light Infantry Brigade and assigned as a squad grenadier operating a 40mm M79 grenade launcher. On August 20, while on patrol in Heip Duc, Bleier was wounded in the left thigh by an enemy rifle bullet when his platoon was ambushed in a rice paddy. While he was down, an enemy grenade landed nearby after bouncing off a fellow soldier, sending shrapnel into his lower right leg. He lost part of his right foot in the blast as well. He was later awarded the Bronze Starand Purple Heart. His rank was Specialist 4. While he was recovering in a hospital in Tokyo, doctors told him that he could not play football again. Soon after, he received a postcard from Steelers owner Art Rooney which read “Rock – the team’s not doing well. We need you. Art Rooney”. Bleier later said, “When you have somebody take the time and interest to send you a postcard, something that they didn’t have to do, you have a special place for those kind of people”. After several surgeries, he was discharged from the military in July 1970 and began informal workouts with Steeler teammates. Bleier rejoined the Steelers in camp in 1970. Upon his return, he couldn’t walk without being in pain, and weighed only 180 pounds (82 kg). He was put on injured reserve for the season, but returned in 1971 and played on special teams. He spent several seasons trying to get increased playing time, and was waived on two occasions. But Bleier never gave up, and said that he worked hard so that “some time in the future you didn’t have to ask yourself ‘what if?'”. An offseason training regimen brought Bleier back to 212 lb (96 kg) in the summer of 1974, and he earned a spot in the Steelers’ starting lineup. Since Preston Pearson was wearing number 26 (the number Bleier wore his rookie season before he went to Vietnam), Bleier switched to number 20 when he returned to the team. After Pearson was traded to the Dallas Cowboys in 1975, Bleier kept the number 20, with which he had become associated. In addition to being a great lead blocker, Bleier was the second of the Steelers’ rushing weapons (Franco Harris was the primary back), but was effective nonetheless at both blocking and rushing. In 1976, both Harris and Bleier rushed for over 1,000 yards, making this the second NFL team to accomplish this feat, after Mercury Morris and Larry Csonka of the 1972 Miami Dolphins. Bleier played in the first four Steeler Super Bowl victories, and caught the touchdown pass from Terry Bradshaw that gave Pittsburgh a lead it would never surrender in Super Bowl XIII. He also recovered Dallas’s onside kick in the closing seconds, sealing the Steelers’ victory. Bleier retired after the 1980 season with 3,865 rushing yards, 136 receptions for 1,294 yards, and 25 touchdowns. At the time of his retirement, he was the Steelers’ fourth all-time leading rusher. Bleier wrote a book of his struggle to recover from his war wounds called Fighting Back: The Rocky Bleier Story, and it was made into a television movie in 1980, with Robert Urich starring as Bleier, Richard Herd as Steelers coach Chuck Noll, Art Carney as team owner Art Rooney, and many of Bleier’s teammates (including Matt Bahr and “Mean Joe” Greene) as themselves. We hope you’ll join us on our mission and support a kid today. ©Huddle Up for Kids. All rights reserved. | Created by McWilliams Creative Group.